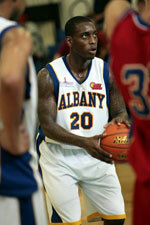 Newly promoted Zakho (IBL) landed 30-year old American guard A.J. Davis (198-95kg-87, college: JMU, agency: Interperformances). 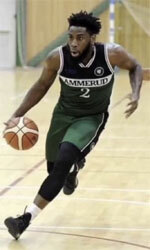 He played in the summer at Founding Fathers (The Basketball Tournament) in the U.S. Davis also played for Bootleggers in U.S. semi-pro league NAPB. He helped them to make it to the semifinals. The other team Davis played shortly was Vancouver in U.S. semi-pro league NAPB. In 2013 he was drafted by Sioux Falls Skyforce (D-League) in third round (39th overall). Davis attended James Madison University and it will be his sixth season in pro basketball. Among other achievements he won D-League Central Division championship title for two years in a row (2014 and 2015). Davis has played previously professionally in Canada (Titans) and Mexico (Rayos de Hermosillo).